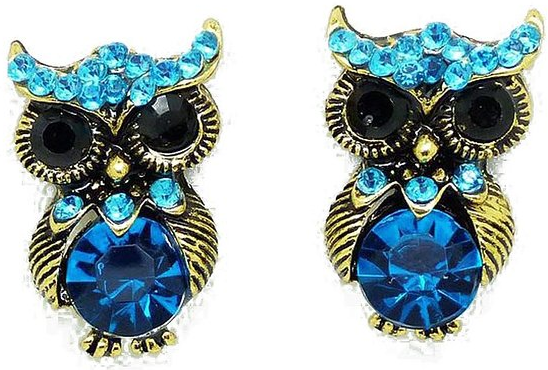 Golden Owl Blue Crystal Stud Earrings Only $3.96 PLUS FREE Shipping! You are here: Home / Great Deals / Amazon Deals / Golden Owl Blue Crystal Stud Earrings Only $3.96 PLUS FREE Shipping! Owls are one of the biggest trends in recent years and these cute Golden Owl Blue Crystal Stud Earrings are Only $3.96 PLUS FREE Shipping! They are sure to get you noticed and you will probably get lots of compliments! This makes a great gift idea for yourself or a teen in your life! Get yours Now!